Click HERE to vote for this page as a Starting Point Hot Site. 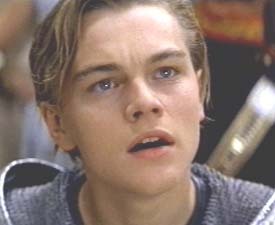 This website has no association with Leonardo DiCaprio at all. He is no relation to me and I have no contact with him. Please don't leave messages in my guestbook for him. Please don't copy any section of this website for your own because I have researched and done all this myself. If you would like to use some of the info, please e-mail me and let me know. If you copy anything from this website to put on your own, you will be in deep trouble. This page is copyrighted.